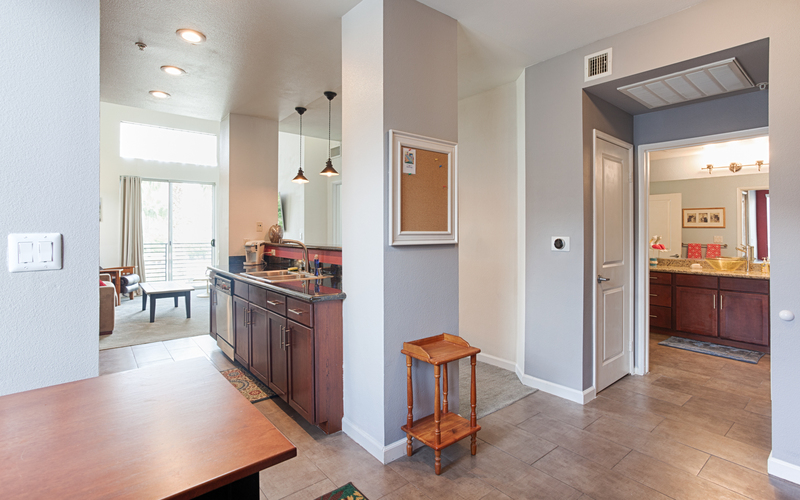 You'll feel right at home after walking into this quiet, secure, and cozy top floor apartment. When you walk into the home, you will be greeted by the dinner table on the left side of the room, which can seat up to 4 people comfortably. If you have extra guests, the wall that's located by the dinner table holds the Murphy bed which snugly sleeps up to 2 people. 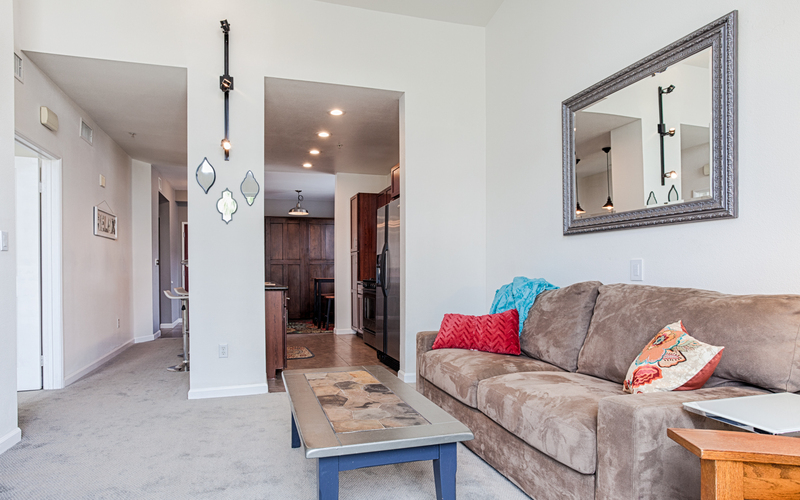 Nearby is the modernized kitchen that features fresh dark wooden cabinetry, granite counter-tops with counter-top appliances in tow, and brand-new stainless steel appliances including; a refrigerator, microwave, dishwasher, and a stove/oven, that is always available for guest use. 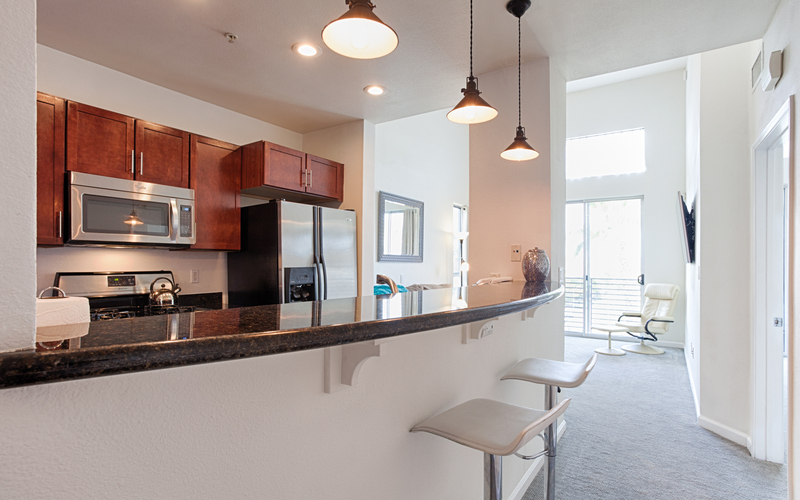 Also featured is a breakfast bar that has 2 bar stool seats that are great for meals, or to just simply relax. On the other side of the kitchen is the living area with a comfortable ultra-suede sofa sleeper couch, sizable relaxing chairs, and a flat-screen TV that completes the room. This room also features an easily accessible balcony that provides a relaxing breeze and an amazing view of the city of Los Angeles. 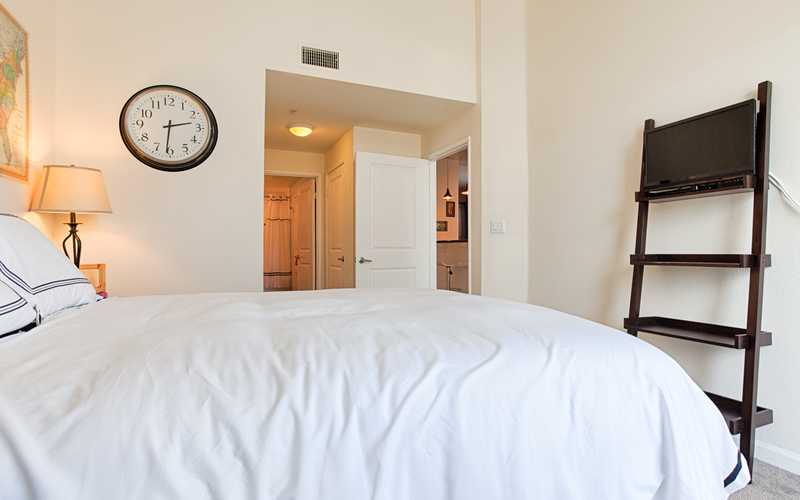 The Master bedroom comes with a pleasant queen-sized mattress, lamps, the perfect amount of natural sunlight. 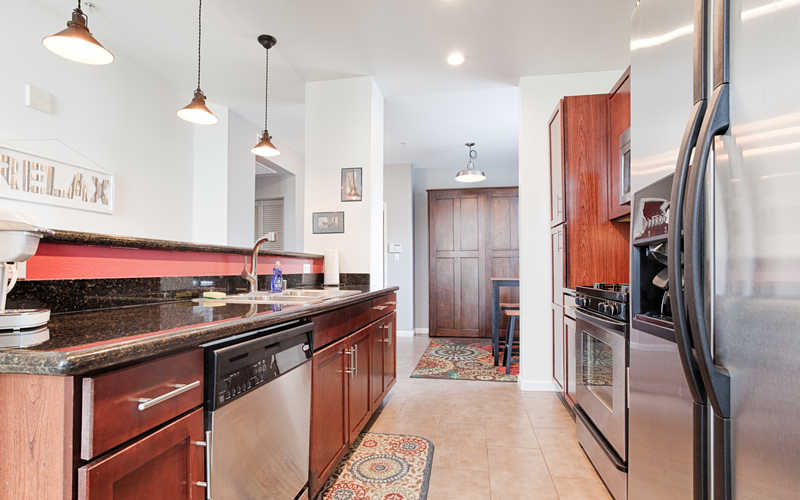 The bathroom offers the same granite counter-tops and dark wooden cabinetry as the kitchen. 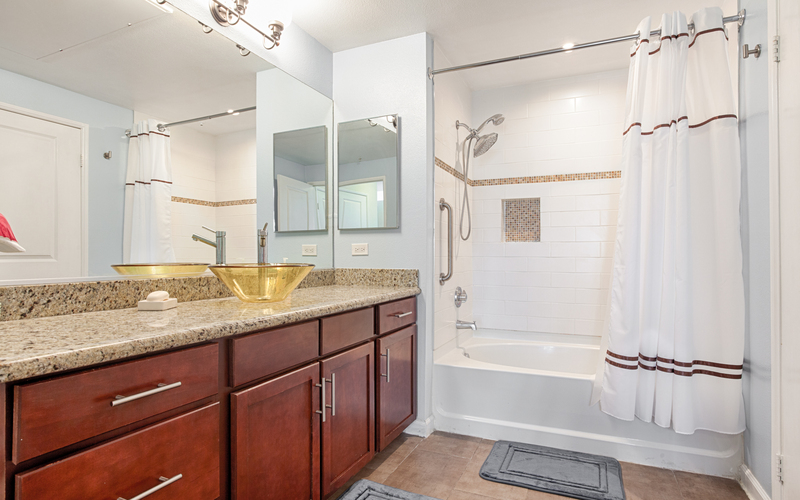 Also included is a tub/shower combination, which contains a European style shower head. 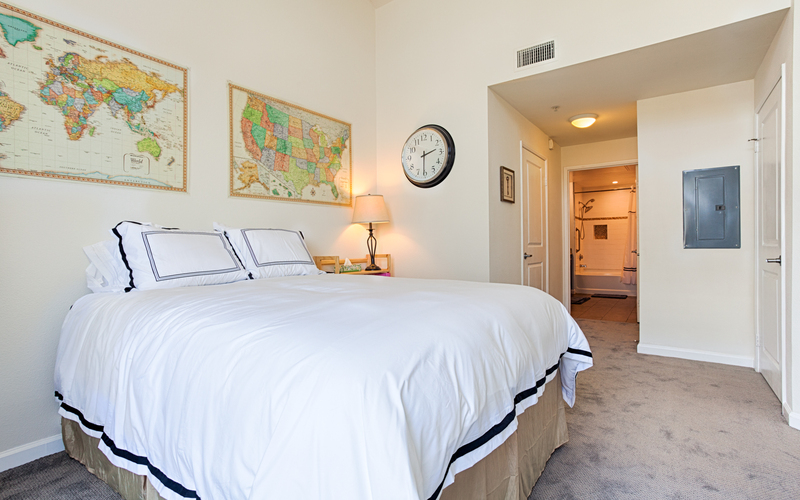 Additional Amenities at this property include complimentary Wi-Fi, Cable TV, and two tandem parking spaces located in the covered parking garage, and outdoor activities galore. In the community you'll find putting green, kids parks, tennis courts, volleyball courts, and paddle tennis courts. 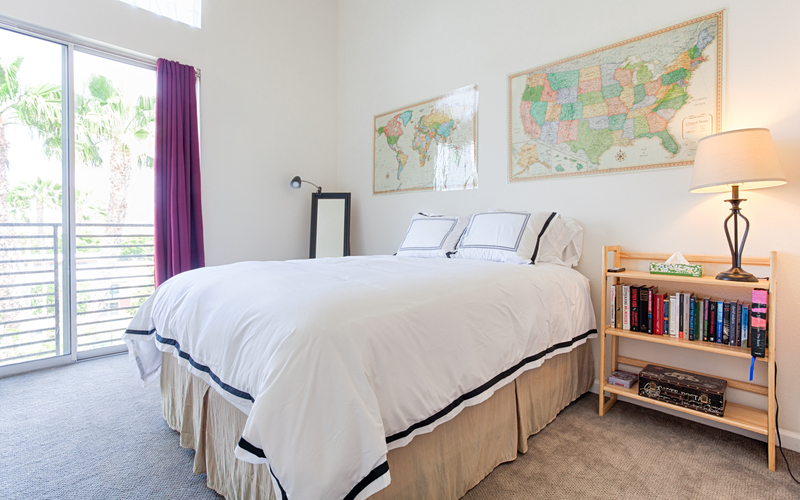 It's also within walking distance to Loyola Marymount University. The community provides a free shuttle to the beach! The complex itself is a few minutes away from Whole Foods and several stores and restaurants such as Hopdoddy Burger Bar, Cabbage Patch, The Coffee Bean, Pinkberry, SOL Cocina Playa Vista, as well as the nearby movie theater Cinemark Playa Vista and XD. Very difficult company to work with, very unprofessional. Arrived with my two sons (ages 19 and 23)to a very comfortable and clean condo. We immediately discovered that the internet, TV and dishwasher were not working. We contacted Globe Homes and received no help whatsoever. I was told that it would be fixed the next day. I had to call multiple times (they did not call me back) and never got anything fixed. By day 3 I went to a hotel. I had plans to hang out with my older sons for Thanksgiving and this had an impact on our stay. Check in was also a pain, very confusing. I would not rent from this company ever again. The location was great and the apartment clean. However, the multiple levels of management was a nightmare. When we arrived , the door code we were sent did not work. My family of four stood on the curb for 30 minutes waiting to hear back from "Lori" listed as our host in Airbnb. We also called a phone number for the unit and heard a message from Paul Duarte? His name is never mentioned as a host in Airbnb. And finally when we did hear back we were told to speak with management for Global Homes. Finally a neighbor let us into the building. Global homes had given us an old code to the building that no longer functioned. It took a stranger unrelated to the rental TO help us. The code to our actual condo unit did work. Once we got in however, 2 of the 3 beds had no sheets or pillow cases. Just bare scratchy mattress. We were told there was nothing to be done til morning. We waited the whole next day and still no sheets. Finally at 5 pm they told us our housekeeper was out sick and that we could go shopping for sheets if we liked. Wow. How would we get to a store? Taxi? And at this point I had no faith we would ever be reimbursed. The next day still no sheets. I complained again and again and finally asked for a refund and they said no. On the third day of no sheets, someone named Karen in management agreed to give us back $75 of our $1,000 stay. This did not even amount to the cleaning fee. Wonder how she arrived at that figure. It is also annoying that this unit does not supply toilet paper after the first role. Weird. This was a very disappointing experience for me. Very comfortable unit in a quiet building with great location. Lots of walking to do in this unique modern planned community with restaurants and stores nearby. Only minutes away from Manhattan Beach and Marina Del Rey. Sheets and towels could use replacing otherwise kitchen adequately tooled. Unfortunately no access to nearby health club with pool but other recreational alternatives abound. Very nice property. Well maintained by owner. Comfortable. Property is accurately represented, except more closet space than I expected:) Only suggestion would be to replace carpet at it is a bit aged .Property was perfect location for LMU. Large bathroom and washer and dryer. Cute and comfortable:) Will stay again without hesitation! 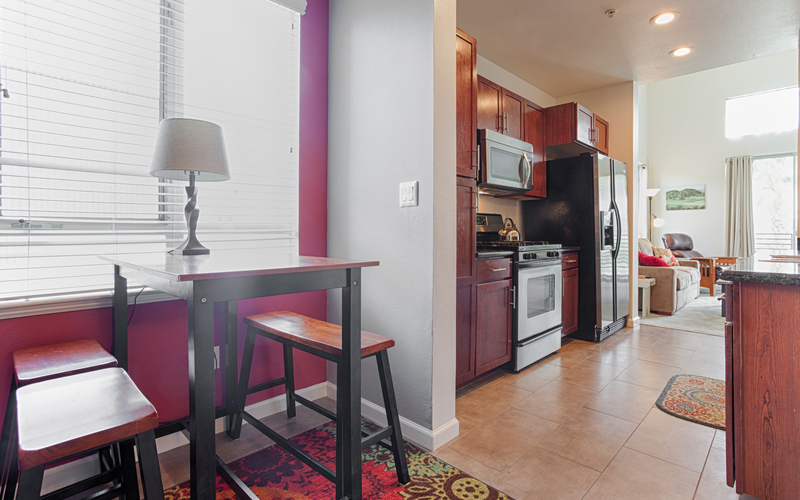 Convenient to new entertainment center, airport, and beaches! Thanks!